Wishing you a Christmas filled with treasured blessings! 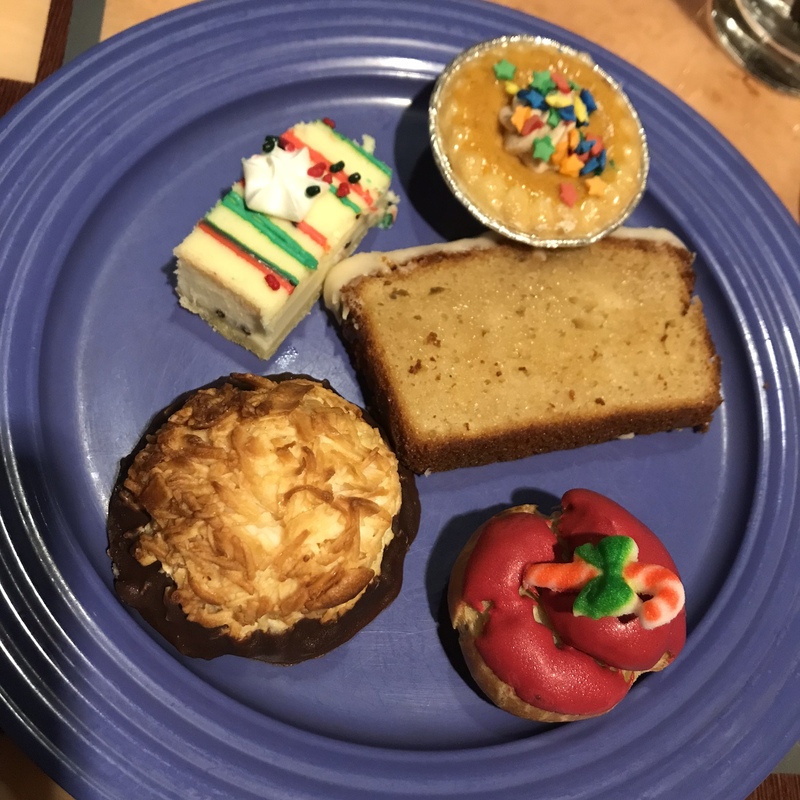 Welcome to my Christmas tea celebration! Christmas music box painted by Mom. 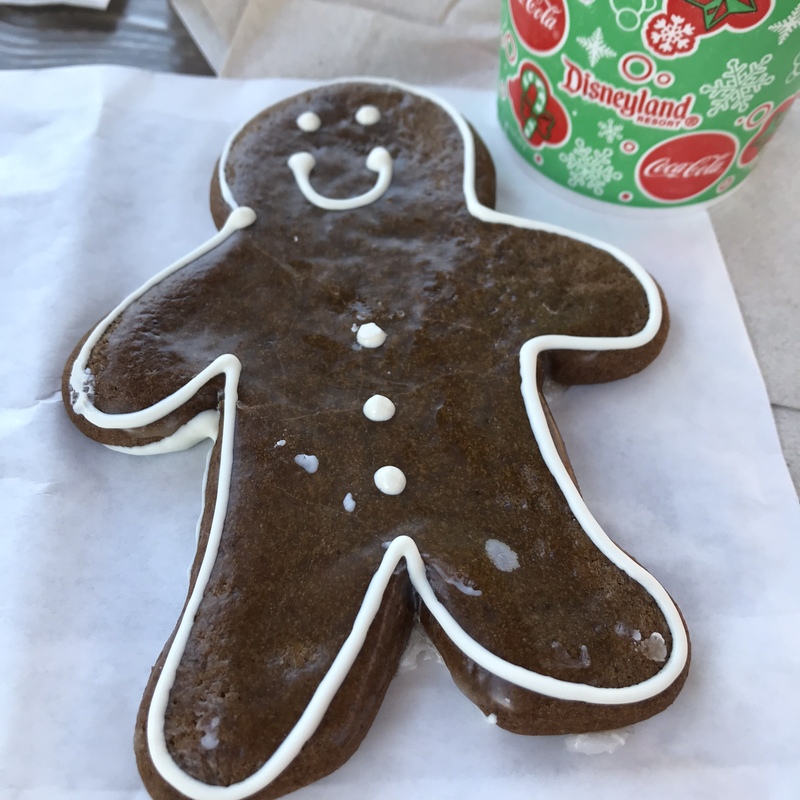 May you embrace the JOY of the Christmas season….our time to reflect on the treasure of God’s love for us. He gave us the blessing of Jesus to bring LIGHT into the world. 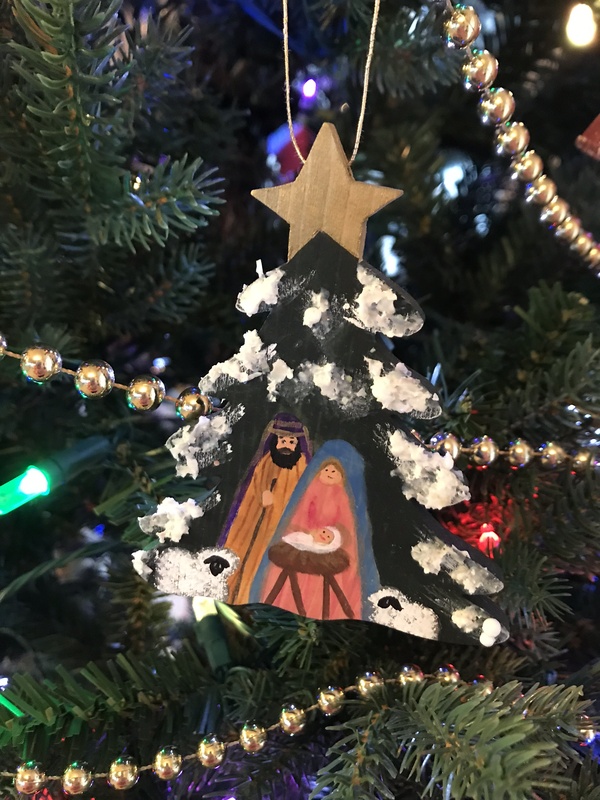 Nativity ornament painted by my mother. My mother enjoyed giving friends and family ornaments and decorations she made. Her expression of love was tucked into each gift. As I decorate for Christmas, I treasure the many reminders of her love. 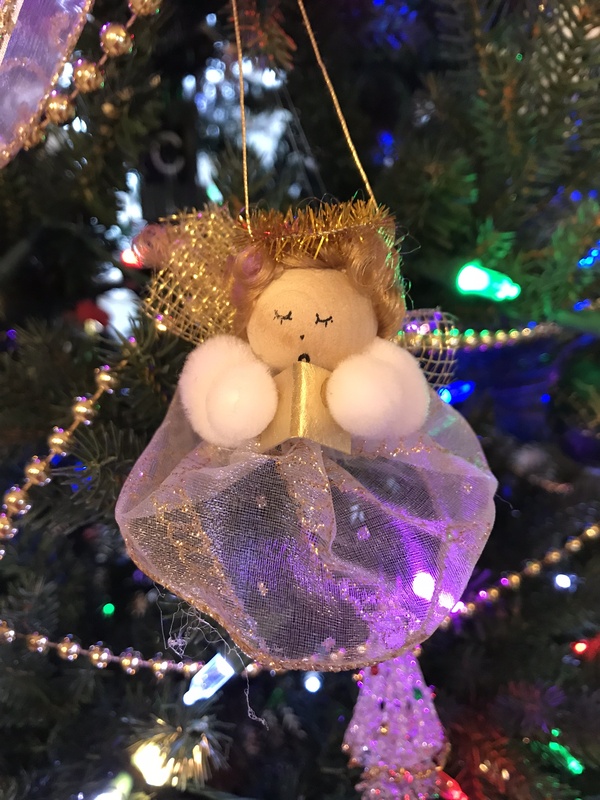 One of many Mom-created angels. 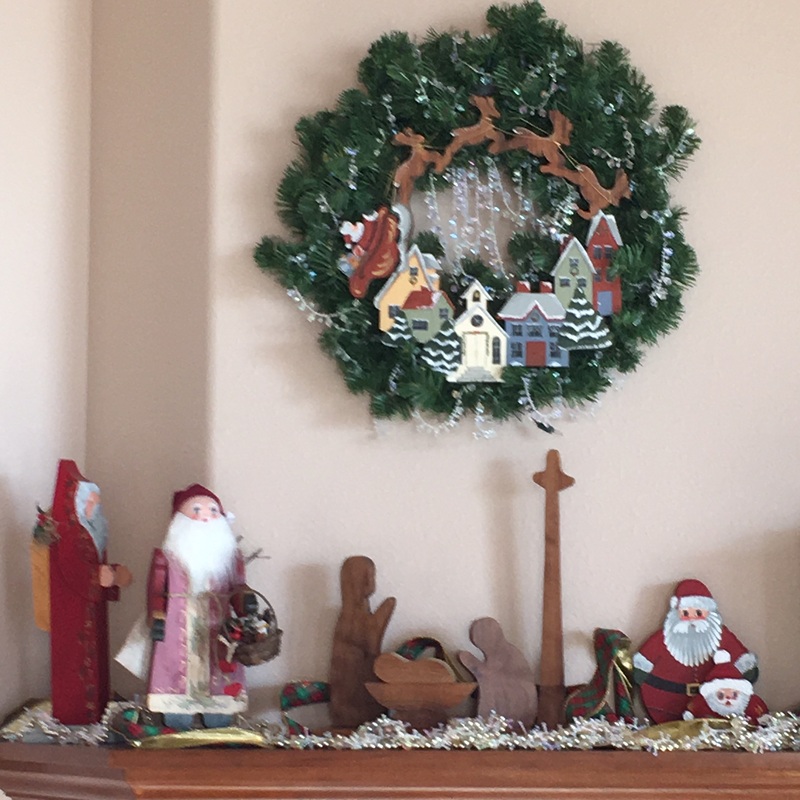 Santas and wreath painted by my mother. Please make a choice…or two. 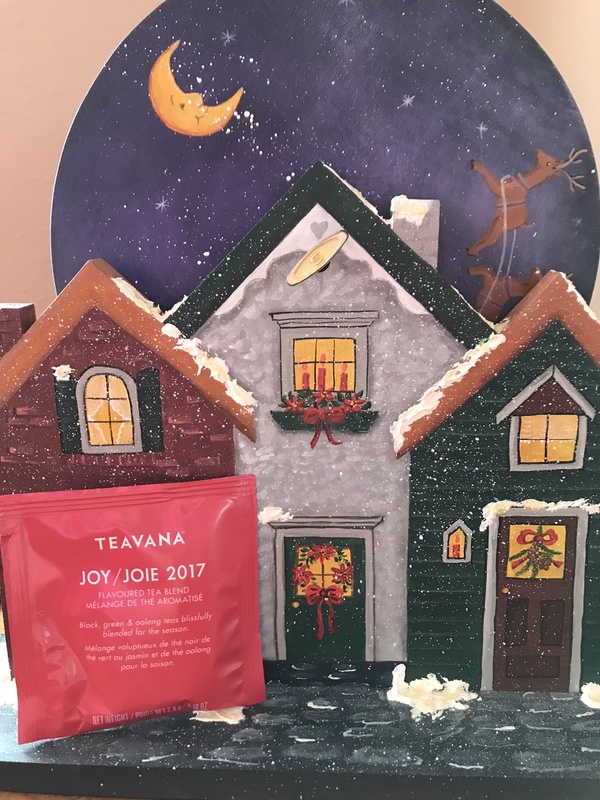 I’ll pour you a warm cup of Christmas tea! 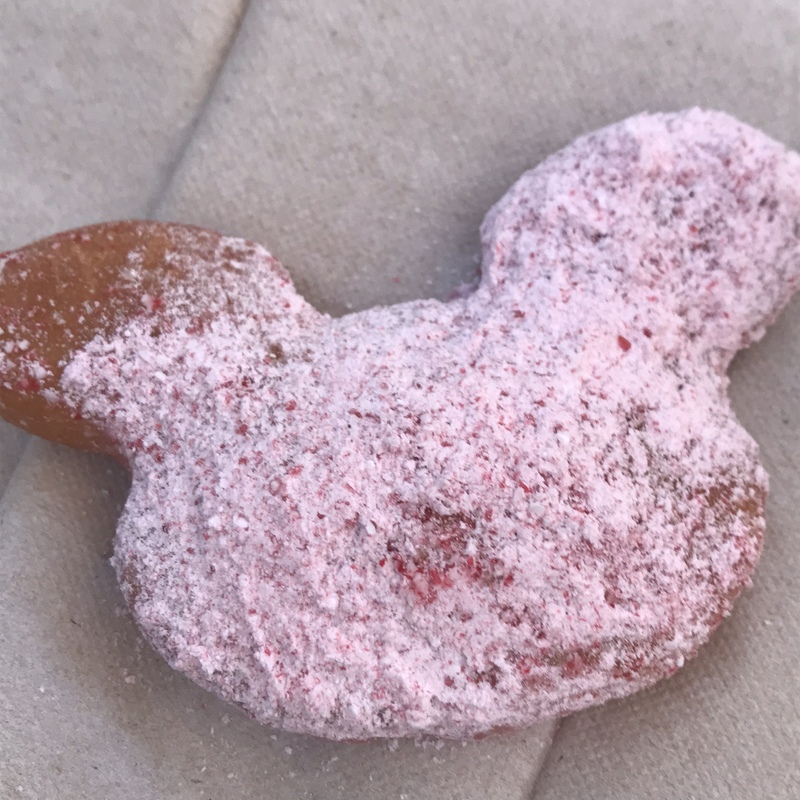 Peppermint-dusted Mickey beignet! Sooo good! Praying for your Christmas season to be filled with the treasures of LOVE and JOY! May you always walk in the LIGHT, my friend! Join us at the Seekerville New Year’s Eve party! My critique partner and I will be hosting at 7 pm EST! Their message calls to me. Last year, I chose LIGHT as my 2013 word. I decided on this word since I wanted to spread the LIGHT of God’s love to others because He is the LIGHT of the world. I believe God did use me as a vessel for shining the light of His love. I pray I will continue to shine His LIGHT in all I do. Please join us for the party on December 31, 2013. I hope you’ll choose one word that will shine a LIGHT on what you hope God will do in you during 2014. May your Christmas be blessed with glittering love as you walk in the LIGHT of our Lord! LIGHT is “My One Word” for 2013……. Their message called to me. After some consideration, I have chosen LIGHT as my word for 2013. The main reason, or the first one that came to mind as I decided on this word, is that I want to glow in the LIGHT of God’s love for He is the LIGHT of the world. This is a good choice for many reasons which I will discuss in future blogs. May you walk in the LIGHT of our Lord!